President of Tax Management Services. 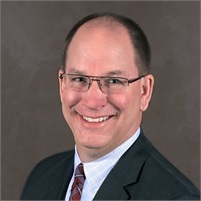 Mike serves his clients in many roles including Financial Planner and Business Consultant. Mike holds a Bachelor's Degree from St. Mary's University of Minnesota and received his Minnesota C.P.A. certification in 1990. He was a Senior Accountant with Arthur Anderson for five years before founding TMS in 1992. Mike's key to success is to make sure he understands his clients' needs. He gathers as much information as possible about his clients. He also believes that clients need to understand and be involved in their financial situation so that they make good financial choices. Outside of the office, Mike is part of the Program Advisory Committee of Fox Valley Tech and Global University. Mike enjoys spending time with his family. Much of his free time is spent attending his children's sporting events and getting away to his cottage in Waupaca.